Synopsis: A man haunted by personal tragedy is asked to become the guardian of his recently deceased brother’s teenage son. 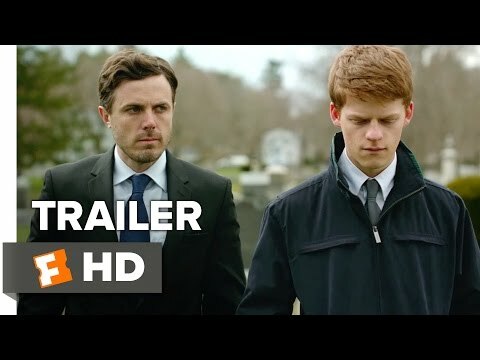 Manchester by the Sea is the kind of movie that’s adored by the Academy and universally praised by the critics but that can fail to connect with the average moviegoer. It’s a story about emotions in which very little of apparent significance happens because its progress is measured by the subtle shifts in its characters’ attitudes towards themselves and one another. The back-story is drip-fed to us via the flashbacks of lead character Lee Chandler (Casey Affleck – Out of the Furnace, Interstellar), a man cast adrift from his old life by a tragic accident who now lives a life of determined isolation in Boston. The death of Chandler’s older brother necessitates a return to his hometown and to the painful reminders of the life from which he has been trying to distance himself. Even worse, he discovers that his brother’s will calls upon him to become guardian to his seventeen-year-old nephew, Patrick (Lucas Hedges – Moonrise Kingdom). Torn between a lingering sense of duty towards his dead brother and a continuing desire to retreat from the world, Lee struggles to connect with Patrick and is further disoriented by the news that his ex-wife (Michelle Williams) is pregnant by the new man in her life. Chandler is a character that is as cold as the coastal town which gives this well-made but overlong movie its name, and because of that it’s difficult to identify with him in the way that Kenneth Lonergan’s screenplay clearly intends. Tragedy is always a questionable plot device and, by avoiding the more obvious pitfalls associated with it, Lonergan falls a little short when it comes to creating empathy for his characters. Only during a late conversation between Chandler and his ex-wife do we glimpse a true sense of the devastating emotional burden under which they have been living their lives. It’s a truly heartbreaking scene, and it’s a shame that Chandler’s wife doesn’t have a larger part to play as there is more emotional resonance in that one conversation than the whole tempestuous relationship between Chandler and Patrick. Lonergan writes with sensitivity and directs with confidence, and the story is never less than absorbing even if the characters aren’t particularly likeable. There’s also much to admire about the performances from a first-rate cast led by a customarily understated Casey Affleck, who is fully deserving of his Best Actor Oscar win. As with life, nothing is really resolved in Manchester by the Sea, but the characters do ultimately find a moment of peace – which is probably the most a character like Lee Chandler can hope for.